A luxury car brand in Pakistan, Honda Accord is not only an expensive Honda but also one of the costliest 4-wheelers in the country. The Honda Accord 2019 price in Pakistan is unimaginably high, i.e. over 137 lac rupees. For this price, you can easily get up to seven vehicles with standard luxury specs. The Honda sedan has got a few competitors in the market, including Toyota Camry and Audi A6. Low competition offers an advantage the sedan for sales. 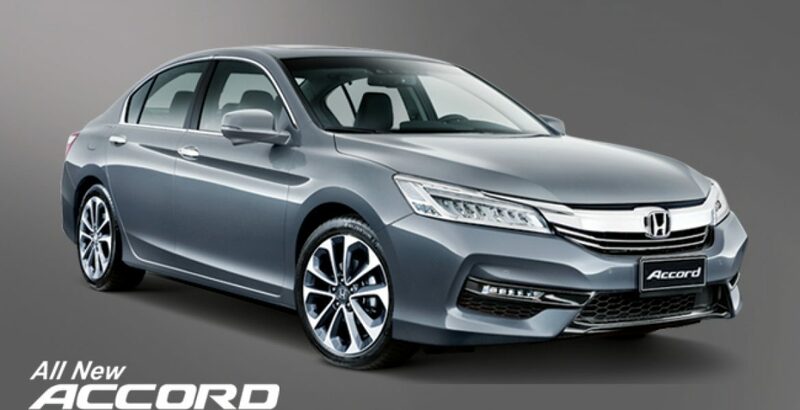 Introduced in the mid of 2013, the 9th generation of Accord has been further refined year in, year out. And the latest 2019 Accord brings a fresh angular design language. However, it is available in only one variant, i.e. 2.4L. Powered by the 2356 cc, inline 4-cylinder DOHC i-VTEC engine technology and 5-speed automatic transmission system, it gives the maximum power output of 129 kW @ 6200 rpm – more than enough to give you an energetic adventure in an environment of extreme comfort and security. A direct competitor of Accord, Camry from Toyota measures slightly larger in engine capacity (2.5) and comes with a collection of high-end specs. Like Accord, it is powered by an automatic transmission system and the interior is equipped with almost all the possible driving and luxury-yielding amenities. The major difference between the two is that of price. That is, winning the race for economy, the Camry offers the discount of around 20 lac rupees – a big discount indeed. But the elite class buyers still go for Honda as a matter of priority, especially for its name and prestige. However, the comparison of Accord with Audi A6 reveals that the latter happens to be much inferior to the former especially in terms of power generation capacity. Audi A6’s transmission system is also of manual type. This is what makes the Audi so economical as the Audi A6 2019 price in Pakistan is even less than one crore. What You Need to Know About Accord? Interior Amenities: The interior abounds in the amenities, having something both for the driver and the passengers. The apex-end specs include the smart push start system, leather furnished seats, ECO assist, dual zone climate control, advanced display audio, power adjustable front seats, advance display audio, and so on. Exterior Dynamics: On the exterior, you will come across the features like LED headlight, lane watch, front fog light, smart front wheel, electric sunroof, and elegant front grill. Multi-angle Reversing Camera: The multi-angle reversing camera provides a clear view of the parking area from different angles. So, you can easily and safely park your Accord in a small available space. Power Adjustable Front Seats: The seats on the front support power adjustment functionality, so the passengers can easily tilt the seats forward or backward to get the most comfortable posture with just the push of buttons. Reinforced Safety: Safety seems as important for Accord as anything else. Dreaming of a collision-free mobile society, the manufacturer has installed multiple safety system in the vehicle. They include the passive safety, child anchorage, seat belt alarm and anti-theft system. 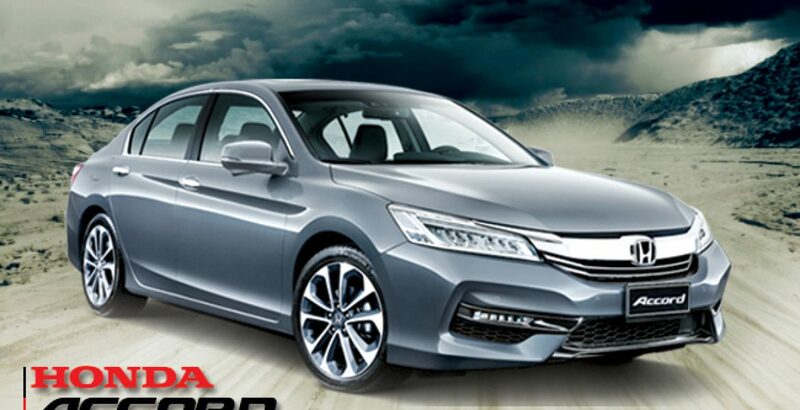 As on other fronts, the Accord promises to appease the fans on its appearance also. It is available in as many as six shades, exhibiting stunning freshness and decency. They include lunar silver metallic, carnelian red pearlescent, crystal black pearlescent, brilliant sporty blue metallic, white orchid pearlescent, and modern steel metallic. Just go for the one of your liking. While the specs justify the Honda Accord 2019 price in Pakistan, it loses the race for economy with its direct competitors in the market. Toyota Camry, scoring better on certain tech fronts, offers an economy of around two million rupees. And that is a big saving! Like, another competitor, the A6 Audi, offers even greater economy. But Honda’s Accord still rules the roads, especially for its luxury and prestige. One of the most expensive sedans in the country, Accord defines new heights for luxury. 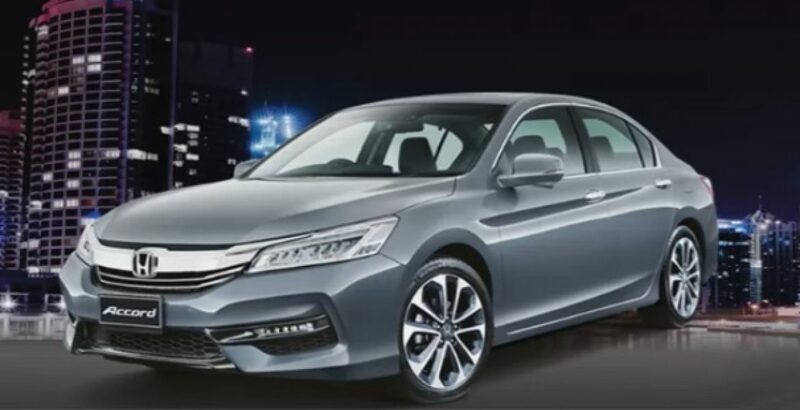 But it yields to its competitors for Honda Accord 2019 price in Pakistan.